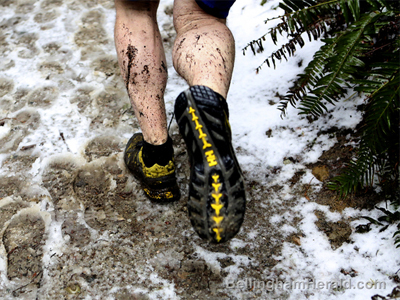 Due to continued ice on the Lake Padden trails, the Mudfest race course has been rerouted and shortened. Significant portions of the trails around Lake Padden remain covered in thick ice that is just not melting. These areas are too slippery and dangerous for a running race. We have nevertheless been able to devise a 6 km trail run that is largely free of ice and still has a few hills as well as a lakeshore out-and-back. This is the course that will be run on Sunday March 10. The start and finish line remain at the same place as before, at the shelter by the children’s playground at the east (dog park) end of the lake, and the race will start at 10:00am. We are sorry to deprive you of mud, climbs and k’s, but hope that you and your friends will nevertheless come out to enjoy some fresh air and exercise with fellow runners in a beautiful setting on what promises to be a very pleasant day. There may be some ice remnants in places on this course, so wear shoes with good traction. Also, don’t forget to set your clocks forward one hour when you go to bed the night before: Spring forward! Our thanks go to Bellingham Parks and Recreation for allowing us to reroute the course at short notice. 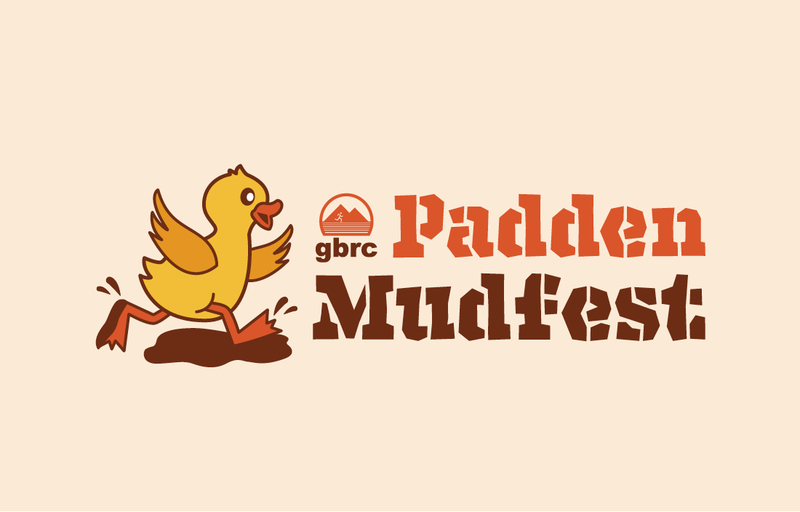 The Padden Mudfest is a 6km trail race taking place on wooded single track trails in Lake Padden Park in Bellingham. This race is unique in offering some of the muddy conditions and challenging hill climbs usually only found in ultra runs. If you like trails, mud, and hills, give this run a try. Online registration is available until about two days before the race. Day of race registration is also available starting at 8:45am. Cost: $15.00 for non-GBRC members who register online, $20 on day of race. FREE for GBRC members. Note: there will be no day of race membership sign up. Please do this online prior to the race. The course is 6 km in length. The race begins and ends at the playground near the basketball courts and is run almost entirely on the horse trails above the lake. It is a very hilly course, often with muddy and sloppy conditions. Note about Footwear: Trail shoes or shoes with aggressive tread are highly recommended. Due to the rocky nature of the course, spikes are not recommended. Aid Stations: There will be one aid station with water located at roughly the halfway point of the race. Baby joggers and dogs are not allowed on the course. From I-5 Northbound: Take the N. Lake Samish Exit 246 and turn left (north) at the stop sign. Drive approximately 2.5 miles to the East Lake Padden entrance. Turn left and follow the road to the playground area. From I-5 Southbound: Take the Samish Way Exit 252 and turn left to cross over I-5 at the light. Turn right at the next light onto Samish Way. Follow the road for 2.5 miles until the East Lake Padden sign (it will be the second sign for Lake Padden). Turn right and follow the road to the playground area. Please carpool or use public transportation to get to the race if possible. Do not park in either the gravel or the paved parking lots adjacent to the dog park – these are reserved for dog owners and other park users. Parking is available in the lot above the registration area, along the access road, at the boat ramp parking area 1/4 mile from the start, and at the swim area 1 mile from the start. All awards will be given immediately at the conclusion of the race. Ribbons will be given to the first three competitors in each age group based on 10 year brackets from under 20 to over 70. There will be no age-grading. Awards will include random prizes, gift certificates, and/or merchandise courtesy of our sponsors. Must be present to win. Results: Results will be available after the race at www.www.gbrc.net. BBay Running and GBRC have joined together to start a program for runners to recycle their old running shoes. So bring all your old running shoes with you to the Padden Mudfest and we will take them off your hands and keep them out of our landfills. For more info on this program go to shoe recycling & reuse at bbayrunning.com. 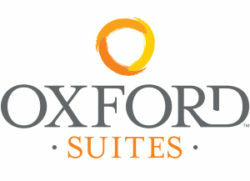 15% Discount Rate at Oxford Suites Bellingham for GBRC Members, Participants & Attendees of the Padden Mudfest.